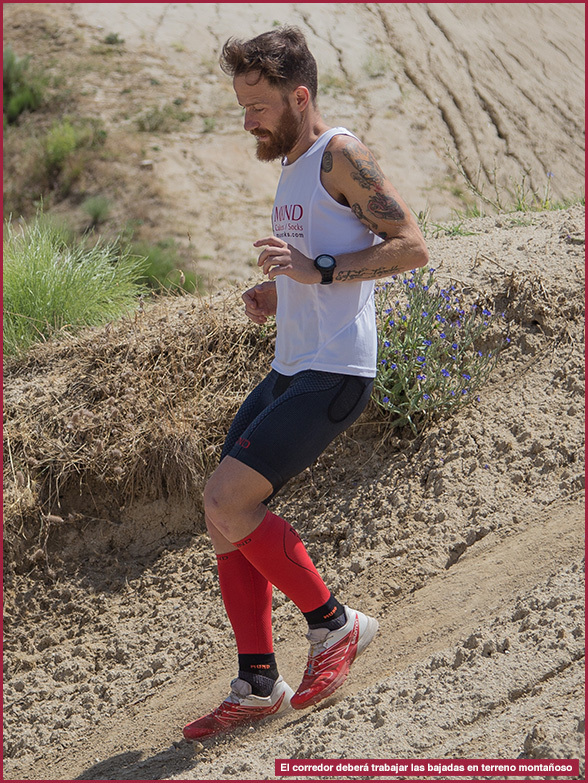 The step of running the trail-running, or jogging on plan to do mountain can be a stimulus for some runners who want to innovate and get into a new sport, but it should be noted that this step changes substantially. In fact, although the case continues to run, it is a different sport, which requires a different training, different physical conditions and a different mentality for racing. Let us see why. In recent times we have seen an explosion of running: running ever more people, more and more races and everyday growing interest in the sport. With mountain races there was a big boom, but has noticed an increase in runners. 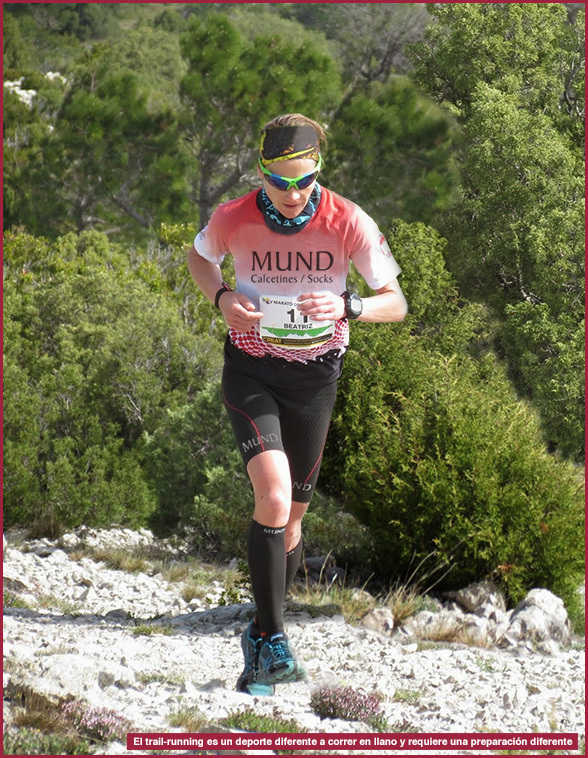 When we interviewed in this blog Beatriz Real, Cuenca athlete sponsored by Munda told us that in recent years had noticed greater participation in mountain races, and a higher level of preparation among competitors. 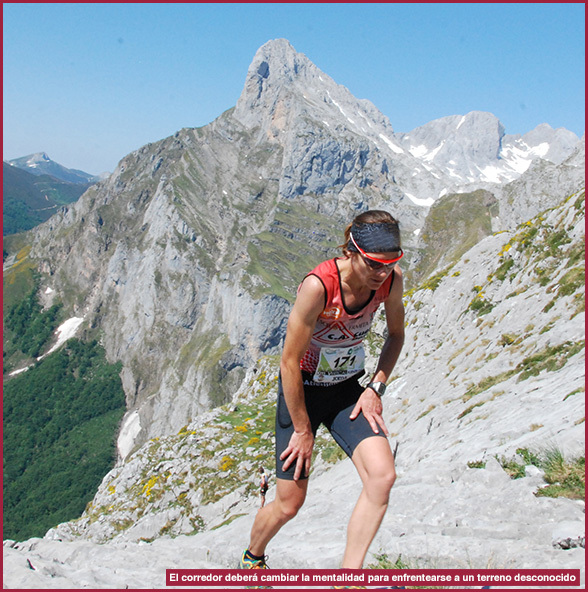 It is also a fact that many runners decide to try to run up mountains, in many cases as a sporting challenge or improvement. The first thing to consider is that a runner-up, although the work done in plan will serve as a base, everything will change drastically. Mentality that has run mountain has nothing to do with making it in flat, despite having an advantage over people who have never run must begin to know a new world where almost starting from scratch. "The first thing you say to a corridor plan that starts at the trail forget is that speed and focus to perform at least two race meetings a week with some coasts," says Beatriz Real . "That strengthens the muscles of the legs, buttocks and quadriceps gym or specific exercises." A good way to begin to adapt to the new ground for a runner-up can be alternated his training career with training in mountainous terrain. As Beatriz, a key factor in the mountain corridor is the strength and fitness of the legs; These are important muscles for exercise training paced changes in natural rugged terrain and performing strength exercises twins and buttocks by uploading small coast. "I think the series is a good idea to make them at least one day during the week coasts, but slowly, without being obsessed because adaptation time. It will lose some speed in exchange for gaining power. It is also important to strengthen the upper body to better cope with uneven careers, "says Beatriz. As the broker familiar with your new environment will gradually lengthen and intensify the workouts. Fartlek sessions and jumping exercises combined with lumbar and abdominal exercises in the gym will help your body get used to the type of work required by trail-running. We also have to work on different sections downhill mountain because the legs to run down and get used to prevent possible injury. 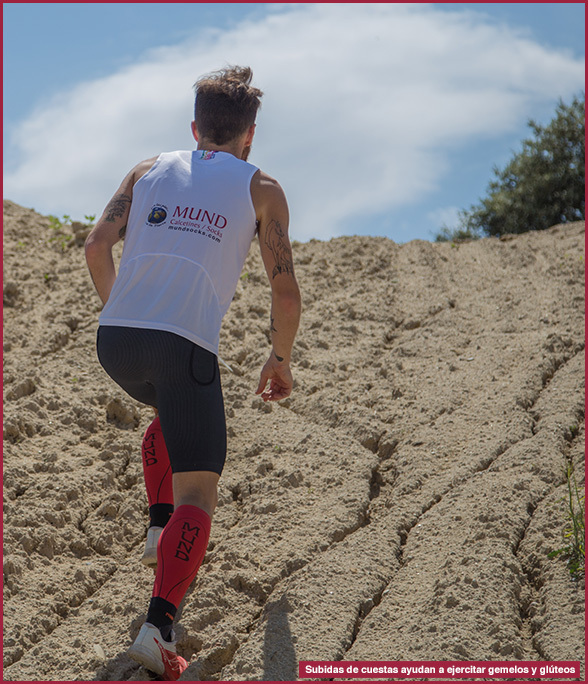 Finally, exercises stairs and mountain biking are also a good preparation for the runner who was running in the mountains.